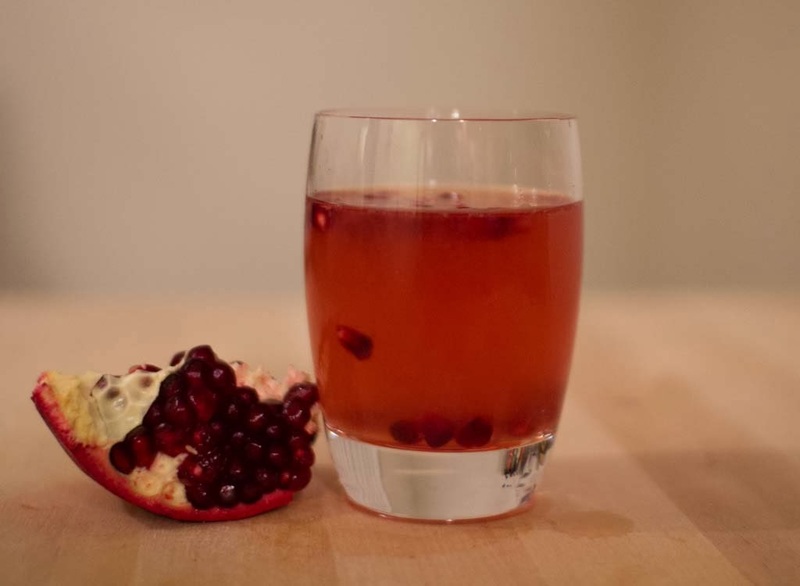 I love pomegranate - and with the fruit being plentiful and often on sale in the grocery stores here because it's in season - it was tie to make a yummy pomegranate cocktail. 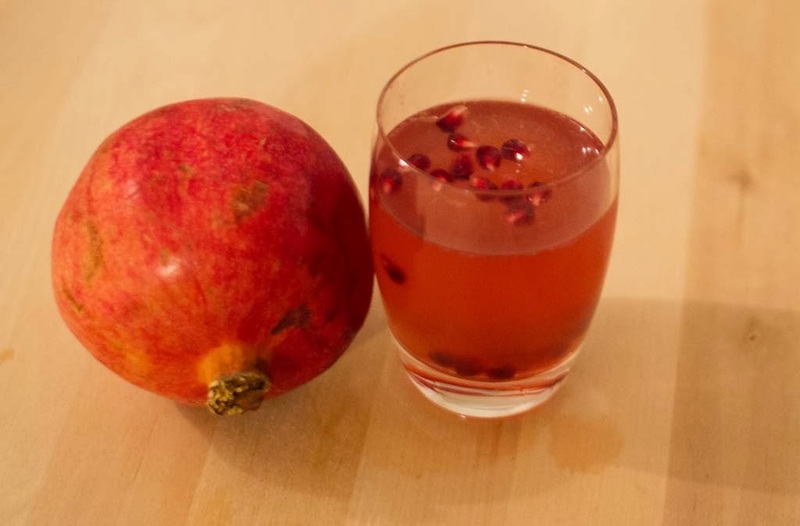 I love using the seeds in the drink because some float, some sink, and some sit halfway, and they are particularly delicious. Fill a shaker 1/2 way with ice. 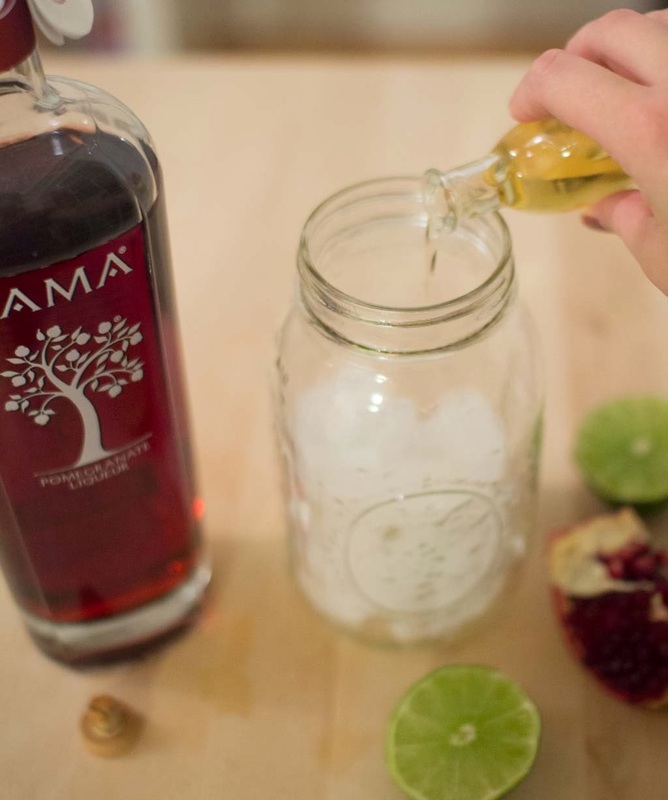 Squeeze the entire lime into the glass and add in 1 ounce of simple syrup. 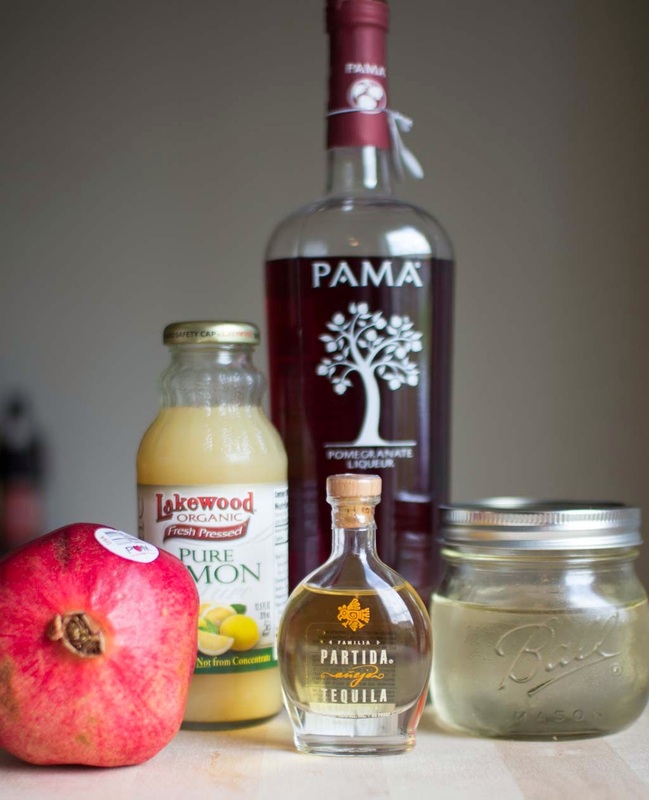 Add in 2 ounces tequila and 1 ounce Pama pomegranate liqueur. Shake well for 20 seconds. 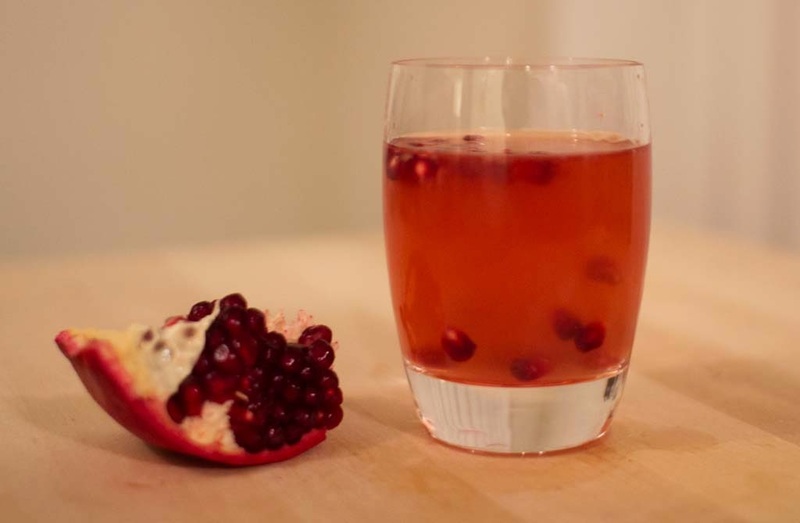 Place pomegranate seeds into a small glass. 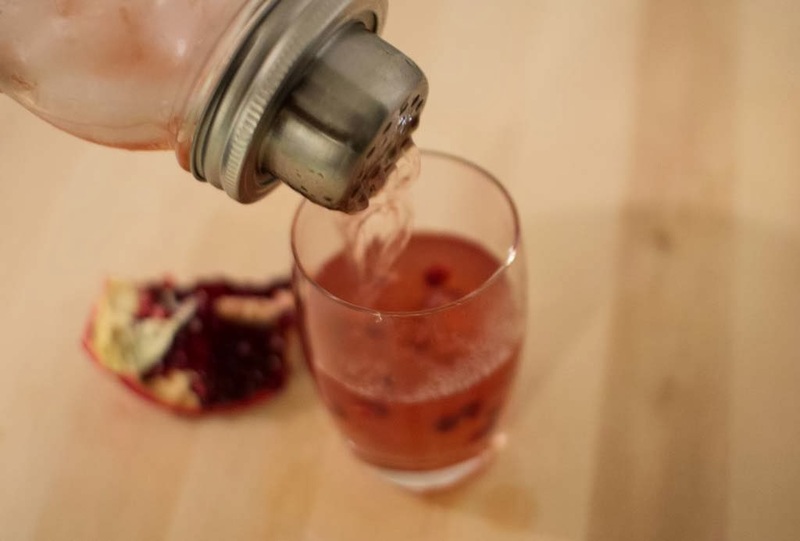 Strain the drink over the seeds and serve. Yum! Anything with tequila is a good idea to me! Mmmm this sounds so good. 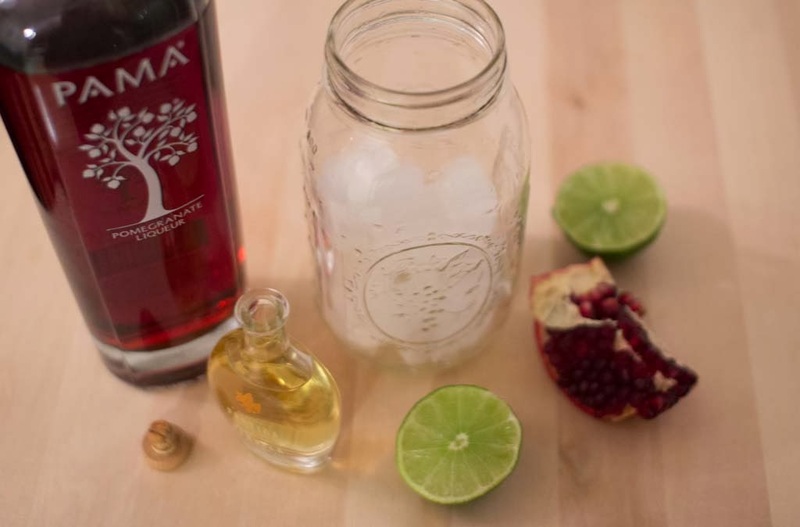 Pomegranate is one of my favorite fruits. yum! i've been feeling so pomegranate-y lately!